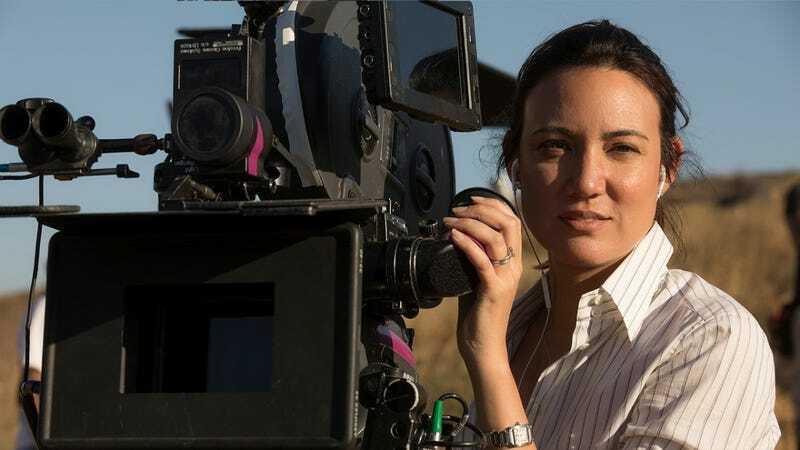 Lisa Joy behind the camera for an episode of Westworld. According to Deadline, Jackman and his Greatest Showman co-star Rebecca Ferguson are in talks to star in Joy’s Reminiscence, a sci-fi film about a private eye who helps people recapture memories from their past. Joy wrote the screenplay, which made the Black List back in 2013, and will also direct. Production is set to start around mid-October, after her involvement in Westworld’s third season has ended. You see a much changed Miami, where the waters encroach the land itself and the outskirts of the city are flooded. The dry lands that are more inland have become the home of the rich, who have taken over the dry inland part and left the rest of the community to create new communities on the flooded outskirts. The way that this looks onscreen will be beautiful, as though Miami—turned into Venice—meets the floating markets of Thailand. That’s what this culture looks like. I wanted to create a really immersive culture of life and sensuality that’s really appealing. You can read her full interview in Deadline’s article. No release date for Reminiscence has been announced yet.